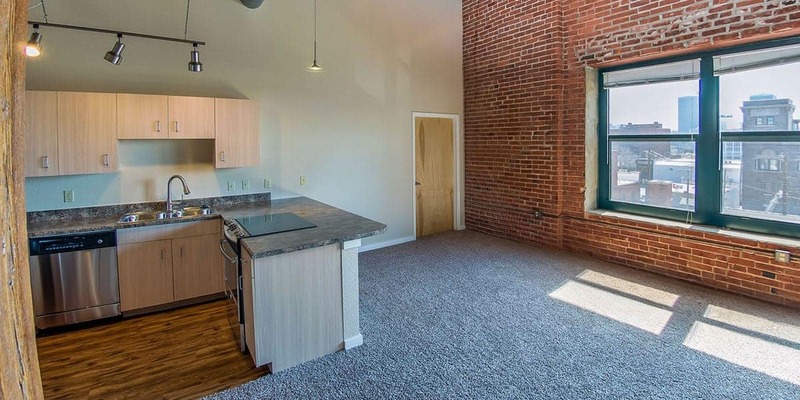 EBT Lofts – Look and Lease! For a limited time only at EBT Lofts, when you look and lease an apartment and schedule your move in by March 30, 2019, you will receive a $1,000 visa gift card at move in*. EBT has a slick selection of lofts with studios starting at $899, One Bedrooms starting at $1,020 and Two Bedrooms starting at $1,545. You will not find a better deal than this for an apartment in Downtown Kansas City Missouri! This historic loft community is located at the corner of 16th and Walnut in the Crossroads. From this centralized location you will have access to the streetcar, inspiring restaurants, live music, sporting events, performing arts and so much more. 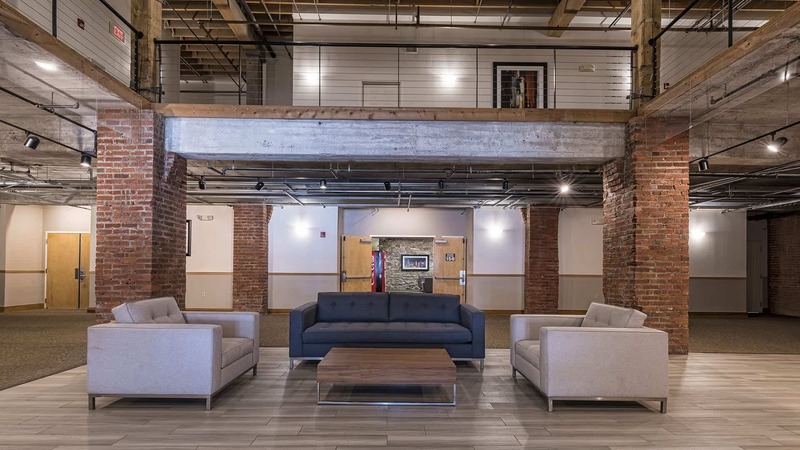 Many of these lofts have been updated with new flooring, lighting, and appliances giving them a modern feel while preserving the historic charm of the colorful brick walls and heavy timber beams and ceilings. Must apply, qualify and move in by March 30, 2019. This offer expires on Saturday February 23, 2019 at 5pm. If you are searching for a new apartment, take advantage of the warm weather this weekend and schedule a personalized tour with KCLoftCentral. You will love discovering our distinctive collection of loft apartments at nine historic properties in Downtown Kansas City’s sweetest urban neighborhoods. If you apply by Valentine’s Day we will waive your admin and application fees! That’s over $200 in savings if you apply before February 14, 2019. And if you move in during the month of February your rent will be free until March 1, 2019! Available Now: Studio apartments starting at just $875/month, one bedroom apartments starting at $940/month and two bedroom apartments starting at only $1,235/month. *Must apply and qualify by 2/14/19. This special is for a limited time only and will expire on 2/14/19. Investor condos excluded. Please contact us today to schedule an appointment. This weekend only KCLoftCentral is offering prospective renters a championship level deal. Rent an apartment on Friday January 18 or Saturday January 19 and we will waive your application fees, your admin fees and you will get $300 off your first months rent! That’s over $500 in savings, so what are you waiting for? And if an apartment is already on special you will get both specials for maximum savings. Don’t miss out! Contact KCLoftCentral today to schedule your appointment and discover Downtown Kansas City’s best selection of loft apartments at an affordable price. 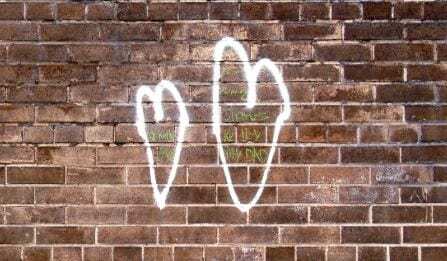 Update 1/29/19 – This special has ended. 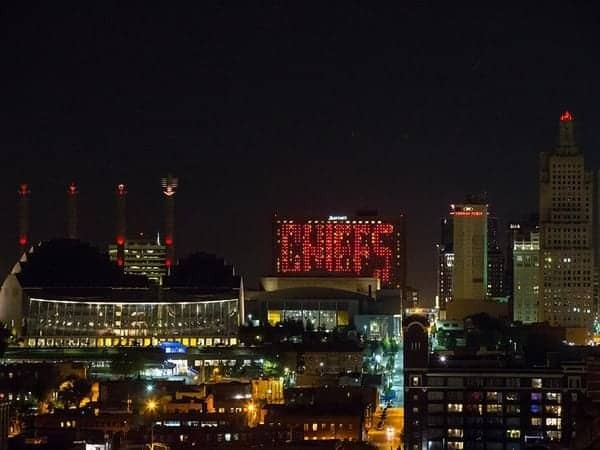 Thanks you KC Chiefs for a memorable season. Let’s Go Royals!